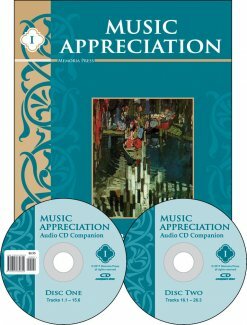 This Audio Companion CD coordinates with Music Appreciation Book I to demonstrate rhythms, musical forms, techniques, and instruments discussed throughout the course. 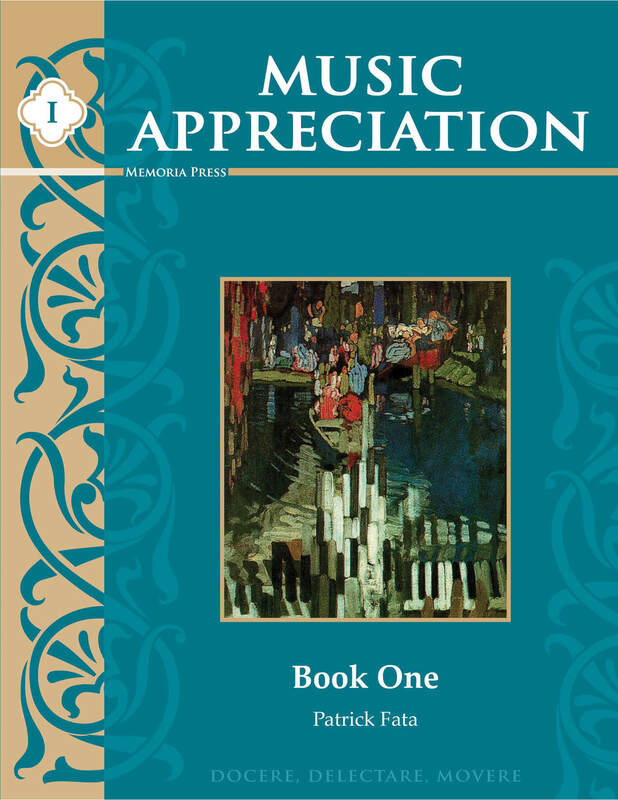 You can find links to all the pieces discussed in Music Appreciation Book I here. Western classical music is as orderly and logical as mathematics, and yet capable of expressing and connecting with the whole range of human emotions. 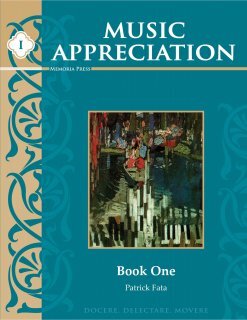 It consists most often of only twelve notes, a few simple rhythms, and a variety of aural textures that manifest in thousands of complex and distinctive styles and forms. It follows a system of rules set in place long ago, but these rules are flexible enough that new music is always being created, building on what previous generations composed, ever expanding. This course aims to deepen the student’s appreciation of music by grounding the greatest pieces in the canon of Western classical music in their historical context, and by introducing the foundational musical concepts of notation, rhythm, pitch, form, and melody to give a fuller understanding of the inner workings of the pieces and of music in general. 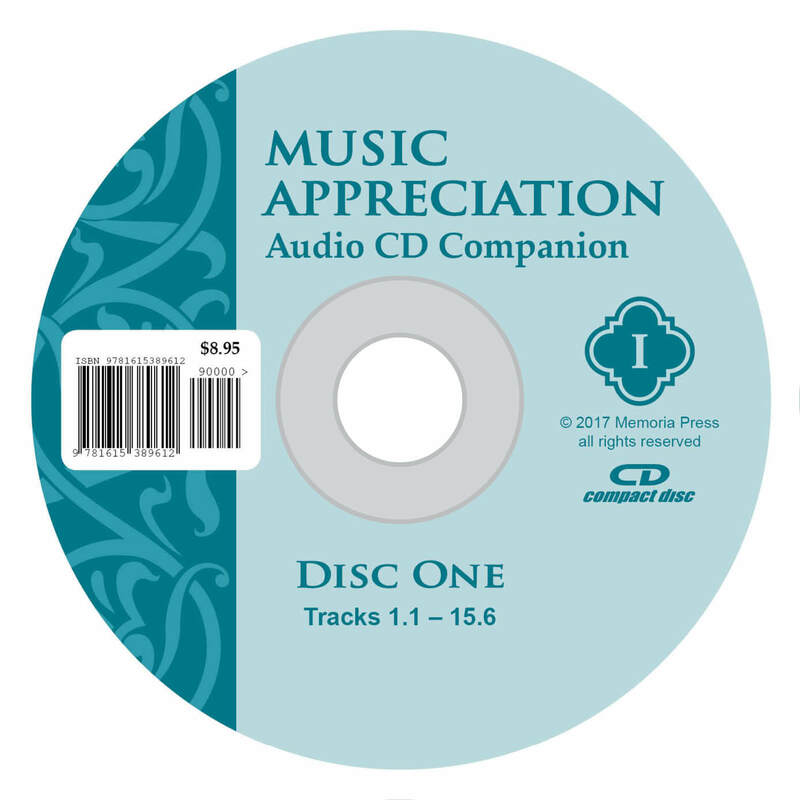 Students will listen to each piece of music and then read each chapter and listen to the corresponding tracks on the Audio Companion CD, which will demonstrate the concepts discussed. The pieces are ordered mostly chronologically in order to illustrate the place each one holds in history and in the evolution of music.